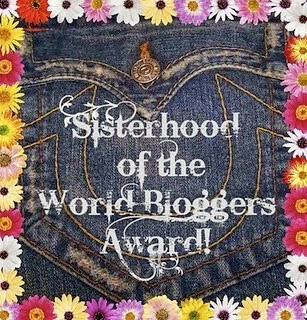 Since I’ve been so bissy this last month I knew I was not going to make the deadline for the HSF challenge 16 – Seperates. But now (a month late) the entry are finaly done and photographed. I knew that this challenge needed to be something quite simple, since I was running so late. 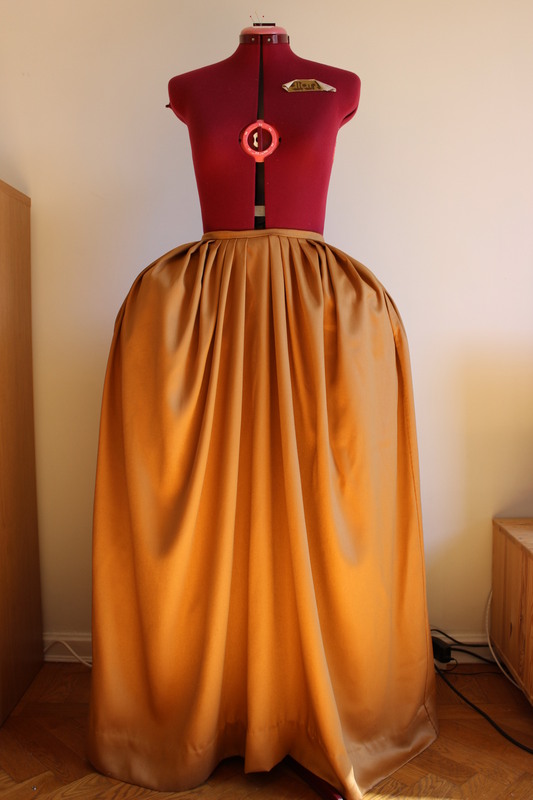 So I decided to make a skirt. 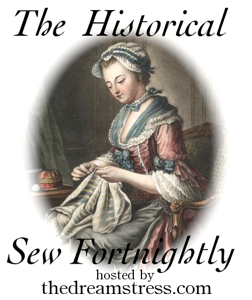 The period and style was inspired by and meant to go with the ongoing challenge 17s garment (which I will tell you more about next time). 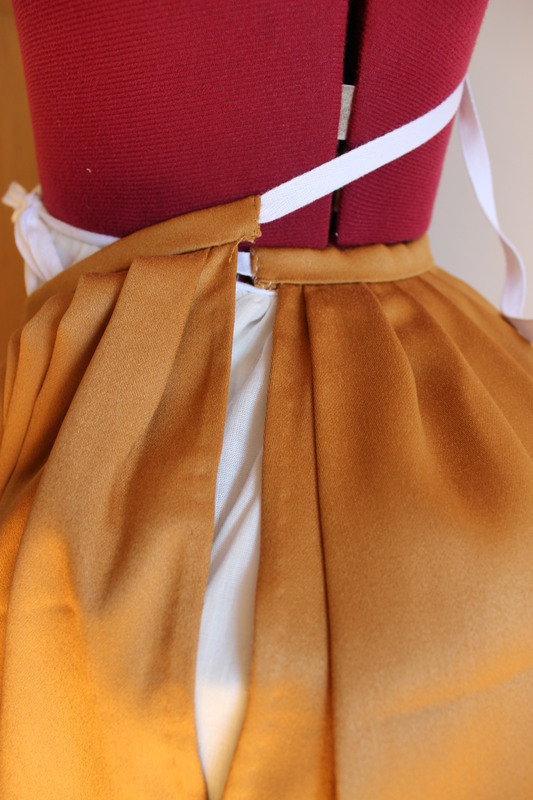 So my 16th entry is a 1750s handsewn skirt made to fit over smal pocket hops. 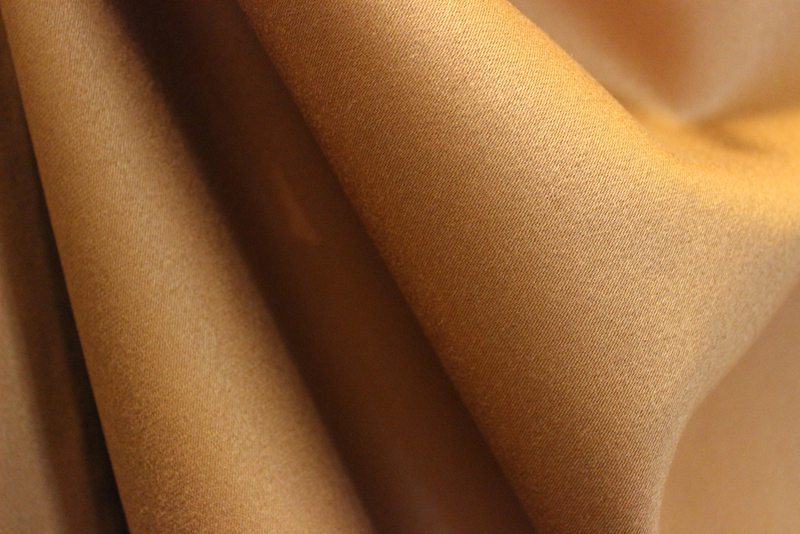 The fabric is a polyester satin in a golden/brown colour that will match several different dresses and social classes. 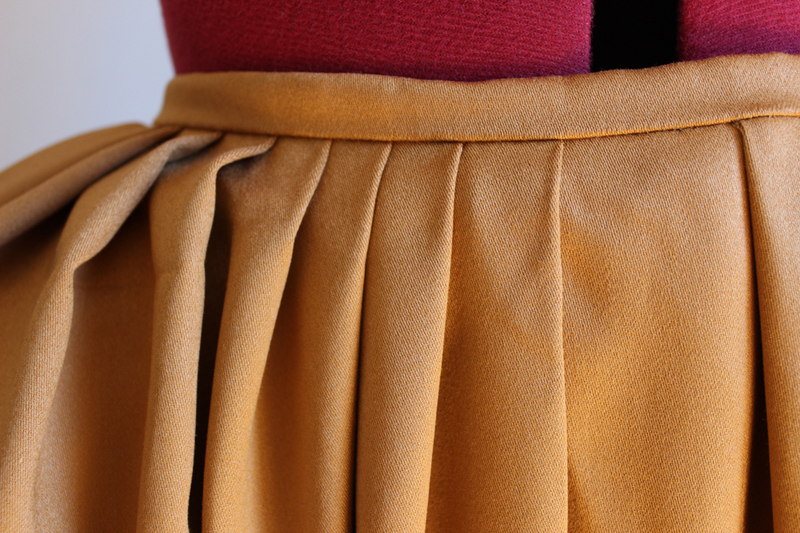 The construction are simply two lenghts of fabric sewn togheter and pleated at the waist. 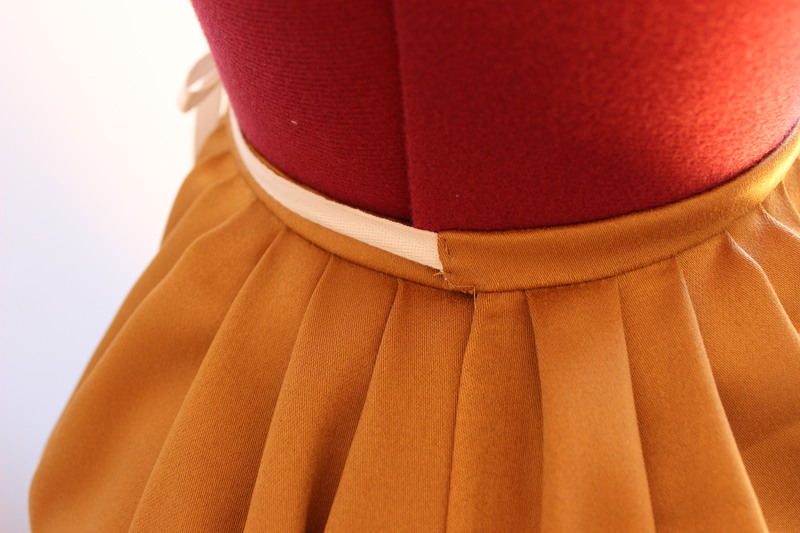 The skirt ties to the waist by separate front and back pieces, to make it fit more bodysizes. What: A 18th century skirt. How historical accurate: Pretty good (exept for the polyester content). Totaly hand sewn with period stitching and cutting methods. So mabye 70%. 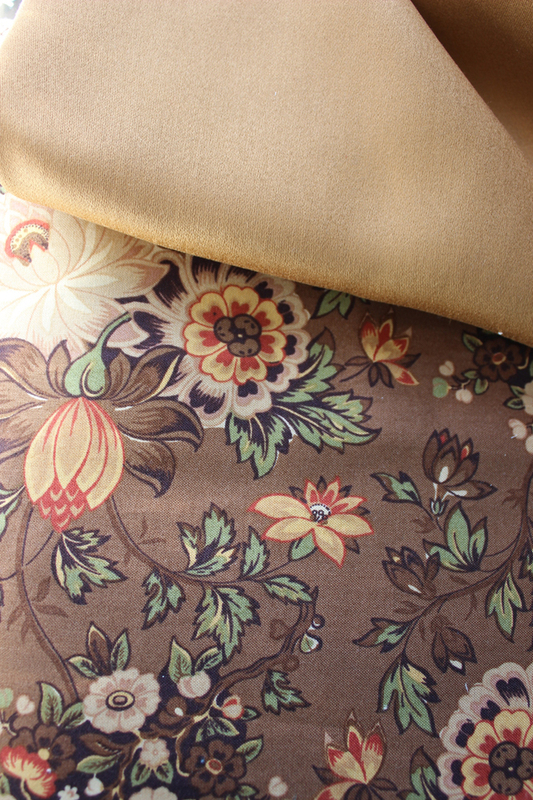 A few days later I found a beautiful flowery cotton fabric on sale at my fabric store, and bought the whole lot. It was’nt untill I got home and putt it on the table next to my skirt fabric I realized that they looks like they are made to be togheter. 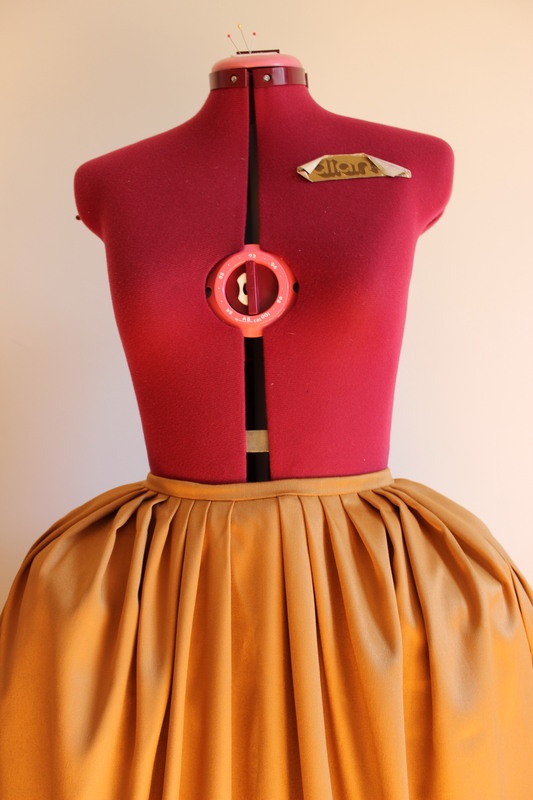 Im already dreaming of several wounderful dresses to go with the skirt.